From the Field: Tech Yes! 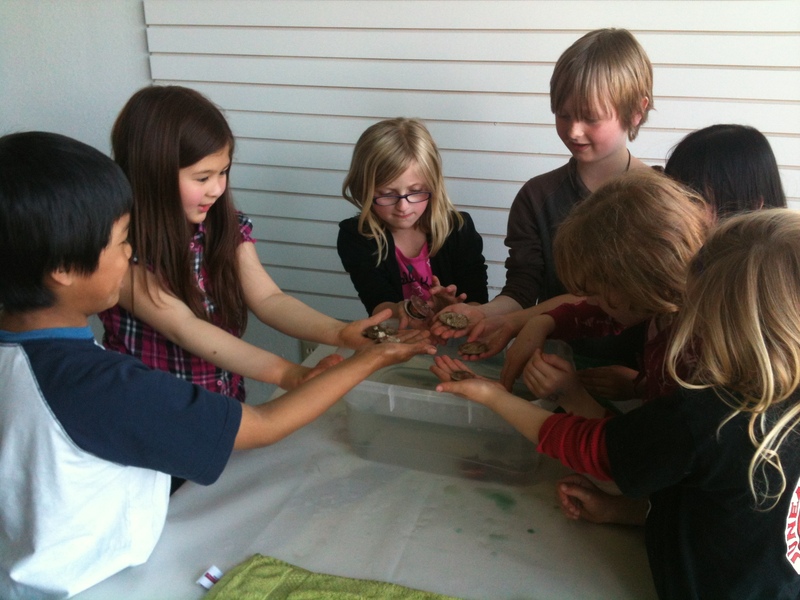 Spring in our classroom at Harborview Elementary means finding evidence of our latest investigation – marine science. My own passion for sharing ocean wonders comes from walking the low tides each spring, finding bright colored anemones and sea stars, tiny sculpin, moon snail eggs and a variety of seaweeds. Before school searches include stashing a few shells in my pockets and taking a variety of photos to show as we begin our investigations. It’s important for teachers to know the content and local resources in the area so they can assist students to find interesting discoveries on their own. Science is meant to be a hands-on, wondering and exploring with five senses experience that can be supported through non-fiction text resources – not the other way around. We are lucky to live in a diverse area of southeast Alaska with the maritime environment surrounding us. In addition to our field session at DIPAC we look forward to exploring the diversity of life at Auke Recreation Beach at Pt. Louisa, north of Juneau, original village of the Tlingit, Alaska Natives of Southeast. Our favorite choice is the morning of one of the lowest spring tides so that our tide pool searches will give us lots of information about ‘who lives where and why’. For two weeks before we go to the beach, every student chooses to read, write and present information on one sea creature of their interest. This is our science and literacy time and everyone is engaged, working within his or her zone. The animals we first explored at DIPAC will now be represented in our classroom in different ways; dioramas are the top choice but there are also posters, research books, games and a play about the tiny fish that live in the tide pools. 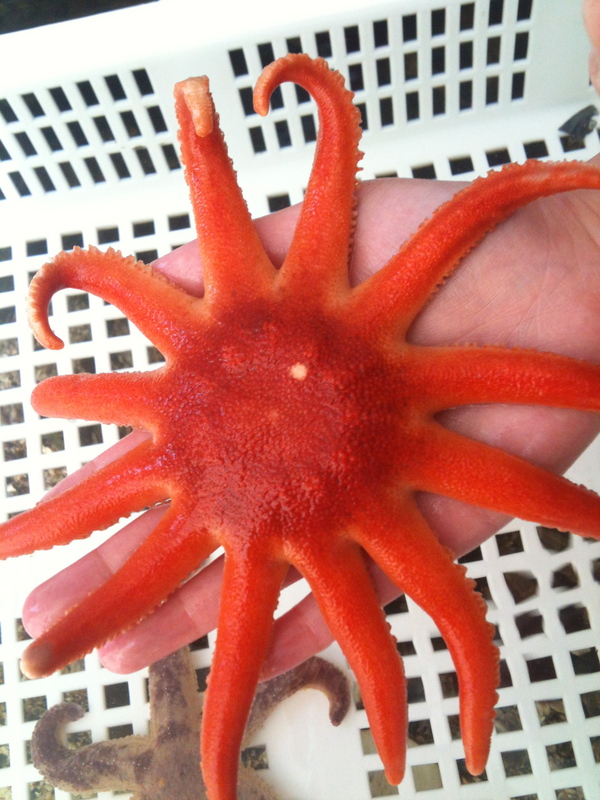 How big is your sea creature? How does it protect itself? What does your sea creature eat? As children study, explore and talk to each other about their chosen animal, the enthusiasm and eagerness for learning expands… the classroom becomes a workshop of bright colors and the steady buzz of communication. We are scientists – and scientists confer, communicate and learn from each other. The evidence of learning is obvious and my role as facilitator is a joy. The thought, time and prep it takes to plan, gather and support individual learners are critical. Children have been given the opportunity to explore their interest, supported to learn from authentic field sessions, books, non-fiction resources via the internet (a fantastic K-2 site, http://www.pebblego.com/login.php) and each other. Can you envision the evidence of collaborative process put into practice in this setting? How would you assess the levels of science learning? What kind of measurement tools would you expect to document the learning outcomes of 7 and 8 year olds within the integrated unit? These are the kinds of questions I ask myself when I go to share with my colleagues near and far! Photos, quotes, artifacts and anecdotal notes taken over many weeks document the learning process as well as the outcomes for specific goals on IEP’s. Collaborative opportunities occur for the colleagues in my school, scientists in the community and family members of the children. Parents are also co-learners and teachers and the appreciative audience during presentations.